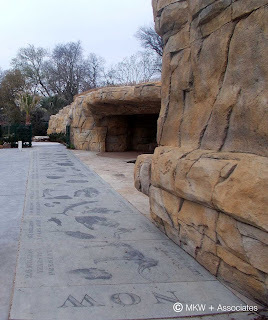 In March 2012, I was contacted by the landscape architectural firm MKW + Associates, LLC (Rutherford, New Jersey) about using some the fossil images on my blog to be used for new educational exhibit at The Dallas Arboretum in Texas. This new area would be called Rory Meyers Children's Adventure Garden. 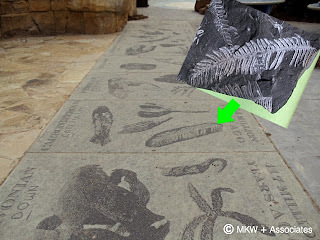 It sounded like a great educational use for some of the fossil images for this non-profit organization so I granted them permission to use the pictures for free. The pictures images are engraved on granite slabs representing 12 geographic times. 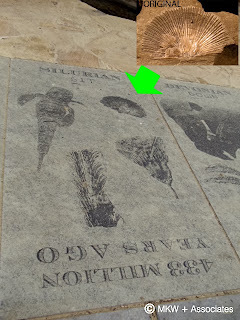 The fossils they requested to use are a Waldron Shale Fardenia brachiopod to represent the Silurian, St. Clair, Pennsylvania fern fossil to represent the Carboniferous, and a Green River Wyoming fish fossil to represent Tertiary. On September 21, 2013, the new 8 acre garden was opened to the general public. 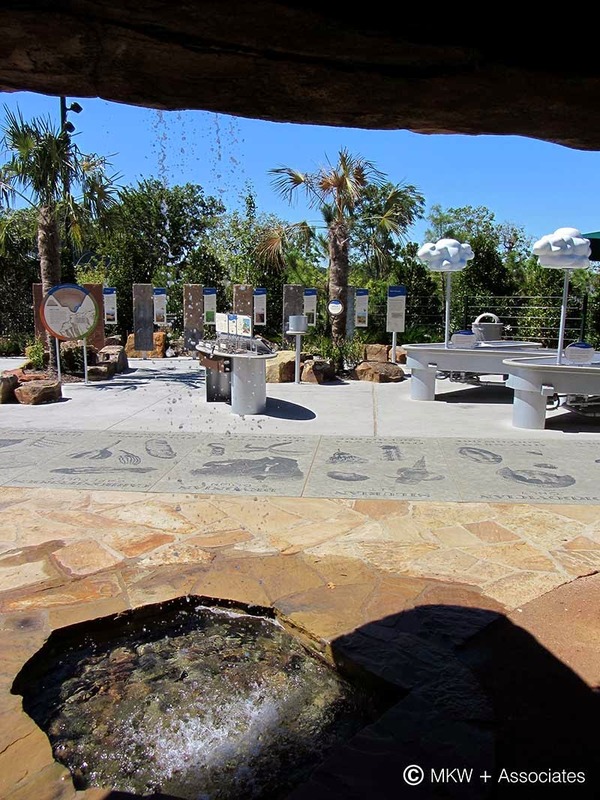 It has 150 displays contained in 17 inside and outside galleries. As you can see in the following pictures, the fossils where placed on the walkway. Hopefully it will have many visitors to learn and marvel at the ancient beauty of these creatures images. Quite a few people visit The Dallas Arboretum with attendance over 660,000 visitors a year (according to a 2011 economic study). Thanks to MKW + Associates, LLC for letting me use their pictures of the Dallas site for this blog posting. Thanks to Dave at http://viewsofthemahantango.blogspot.com/ blog for the fern fossil. Thanks to my cousin Kenny for the photograph of the fish fossil he painstakingly prepared.